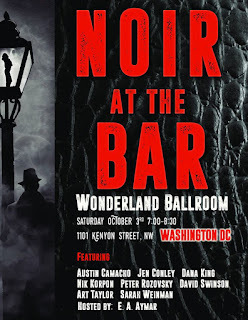 Joaquin permitting, I'll read Saturday evening at Washington, D.C.'s second Noir at Bar. 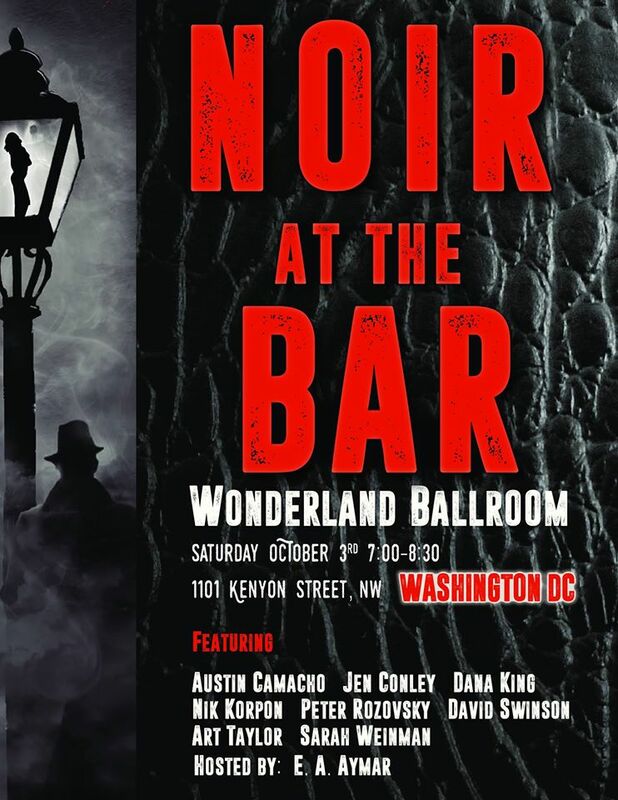 The fun happens starting 7 p.m. at the wonderfully named Wonderland Ballroom, 1101 Kenyon St., NW. Ed Aymar hosts a program that also includes Austin Camacho, Jen Conley, Dana King, Nik Korpon, David Swinson, Art Taylor, and Sarah Weinman, warming up for her stint on a panel I'll moderate at Bouchercon 2015 in Raleigh, N.C., later in the week. So let's hope Joaquin amounts to no more than a few flooded basements and a flurry of hyperventilating news stories. See you Saturday. Good luck with the weather. We're keeping an eye on Charleston too. Thanks. Looks like we may able to squeeze into an interval between today's rain and tomorrow's Joaquin fallout. I hope your travel plane survive, for both Charleston and Raleigh.